Her essays challenge you to see—and so, to live. Distance and Direction by Judith Kitchen. Coffee House Press, 230 pp. Hearing on Sunday of Judith Kitchen’s death, I felt a pang of loss. I’ve recently become a fan. Last June I read her Brevity essay “On the Farm,” a consideration of two archival photographs—a girl with chickens, a child with her father in a cornfield—and modeled an essay on it. And I read her celebrated essay “Blue,” a segmented lyric that moves from her father’s, mother’s, and brother’s blue eyes to her children’s to her high school geometry class. Then, in August, I read her essay collection that opens with “Blue,” Distance and Direction. It’s one of my top books of 2014. Kitchen’s essays here verge on poetry. Moments from memory; how memory works. The world’s beauty. Her father’s image and his memory everywhere. And grief, loss, regret. Might you wish for more connective tissue? Maybe. Yet how neat to be given bright shards instead of always the mirror’s entire, dutiful brown frame too. Did Distance and Direction wholly achieve the author’s aim as art. Yes, surely. These essays make you want to be more alive yourself—to notice as much—and to write with such clarity and meaning. If it is going to rain, it will rain the cold, spiraling rain of the seacoast. Blinding rain that will wash in from the sea in a shroud of fog. The day will close down. The streets will be dark with the words of the sea, dark with the blood that has yet to be shed in a time that surely will be. I’m most challenged by what seems within my range—the first sentence: “If it is going to rain, it will rain the cold, spiraling rain of the seacoast”—because it is made of what she has noticed. What she must have noticed in life to make that sentence. The way she saw the seacoast’s rain spiral. You must fully live, or have lived, in some specific place, to write such a sentence. You must have looked and you must have seen. 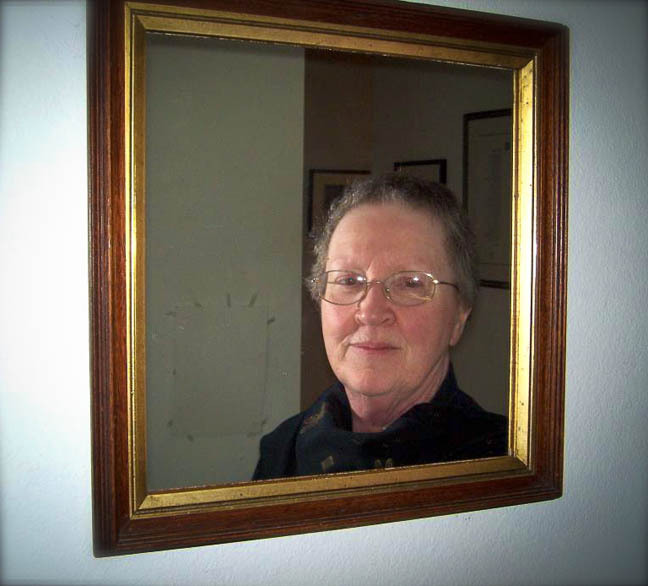 She was a great noticer, or maybe magnetized, as it were, by her writing. The train across Germany was old, with a steam engine, and it reminded me of childhood, waiting for my grandmother to come down the little flight of steps, the puff of steam escaping between the giant wheels. The East German landscape was drab, as though it were not late June, but early spring—grass only hinting at green, and everything dull and matted. Matte. That would be a good word for the landscape with its tiny stone houses and its clotted fields and the gunmetal sky that refused to acknowledge the sun. Miles of it. The backsides of towns, the way trains always peel away the privacy of any place they come to. “The backsides of towns, the way trains always peel away the privacy of any place they come to.” Amazing sentence. Noticing, and how. I realize, reading your piece on Judith Kitchen, that I divide folks into those who notice and those who don’t; those who power-walk a mountain trail and step on a tiny wildflower and those who kneel down to examine its intricate design. 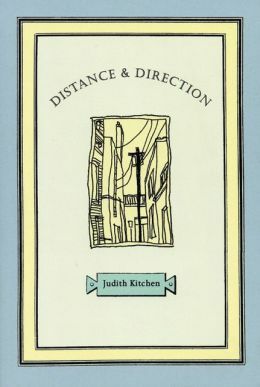 In Judith Kitchen’s honor and in recognition of your own noticing of her, I ordered Distance and Direction. Thank you. I’m glad, Shirley. I predict you will enjoy it. Nice review of Distance and Direction, Richard. I felt the same way when I read it. Thanks. Good to hear from you, Shiv. Hi, Richard. As you have noted, J. K.’s words have the picture quality and specificity of poetry, they ascend to the quality of poetry, in every line. Because poetry spends less time asking how or why, usually at least, and focuses on what is; the “how” or “why” only comes after that, and is a solace, a bandage we readers apply to our sweet wounds which come about as a result of being lovingly hurt into awareness by the beautiful words of poetry. Some portions of poetry or of a poetic essay may invite this succor, other poems leave us to analyze and piece together comfort for ourselves. I hope to read her soon; thank you for your review. I like your assertion that usually “poetry spends less time asking how or why,” Victoria. Hadn’t thought of that dimension, but I think you are correct in Kitchen’s case—that’s part of what she’s cut. I’m always talking to my students about how good writing first begins with good reading, which is really just an act of noticing. What makes something interesting? What can you see in a text or an experience that someone else might not? I love how you frame Kitchen’s writing that way. It seems just right–she’s a master at the art of noticing. Something we should all aspire to. I might share this with my students. Thanks, Richard! “What can you see in a text or an experience that someone else might not?” What a perfect way to explain literary analysis—and, really, a thesis-driven essay. Thank you, Mandy. Thank you so very much for recommending “Distance & Direction,” Richard. I finished it last night. What a book.